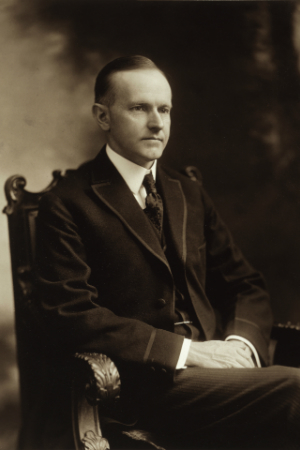 Full Name: John Calvin Coolidge, Jr.
On May 10, Coolidge appointed J. Edgar Hoover Director of the Bureau of Investigation. Snyder Act passed granting U.S. citizenship to all Native Americans. The Johnson-Reed Act passed limiting the number of immigrants allowed into the U.S. through a quota based on country of origin. The Air Commerce Act passed to improve air travel safety. The Federal Radio Commission established under the Commerce Department. Coolidge criticized for his response to the Great Mississippi Flood. The Kellogg-Briand Pact agreed by fifteen countries renouncing war as an instrument of national policy. The Senate Historical Office presents a biographical article that examines his early years, philosophy, and his presidency. A positive biography of Coolidge from Jerry L. Wallace. Coolidge family home, his birthplace, and the location of this swearing in after the death of Harding. Founded by Coolidge's son, John, this is the official foundation dedicated to preserving the legacy and advancing the values of America’s thirtieth president. 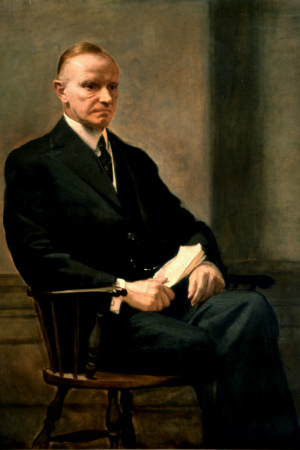 Based in Plymouth Notch, VT.
Coolidge is the only president sworn in by a family member. His father was a notary public. 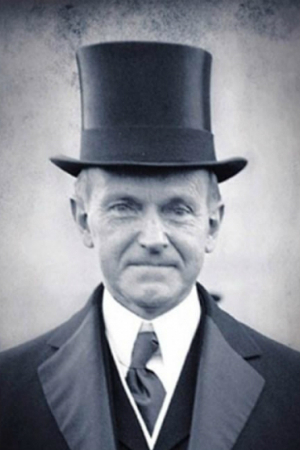 Coolidge is the only president born on Independence Day. Coolidge's address to congress on December 6, 1923 was the first presidential speech broadcast over the radio. 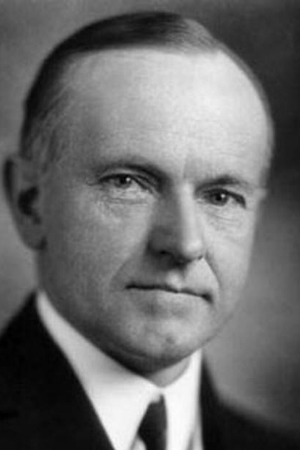 A woman at a party once told Coolidge that she bet a friend she could get him to say three words. He replied "You lose." 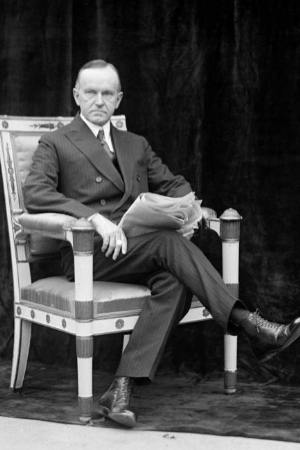 A man of few words until the end, Coolidge's last will and testament was only 23 words long. 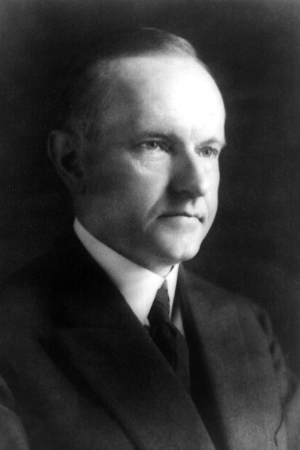 Coolidge was the first president to appear in a movie with sound.